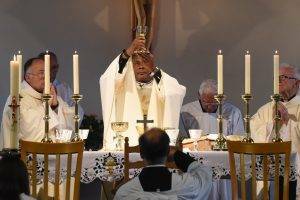 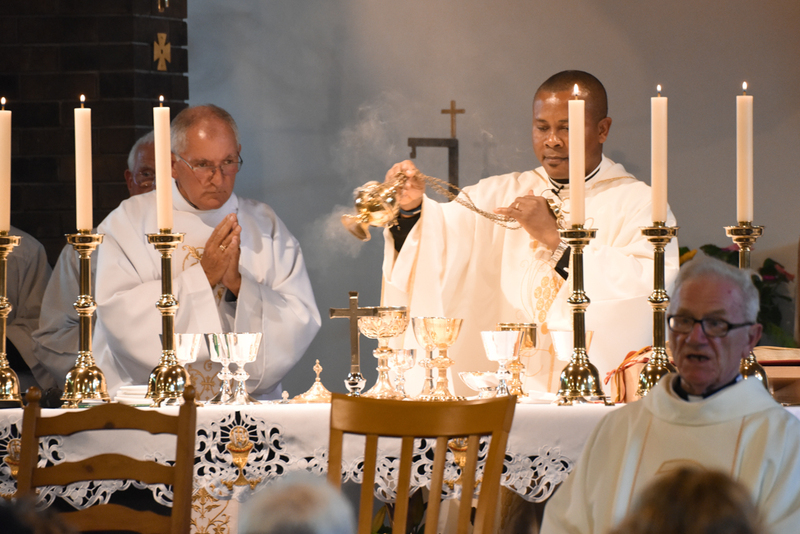 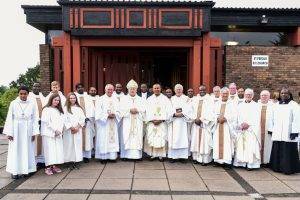 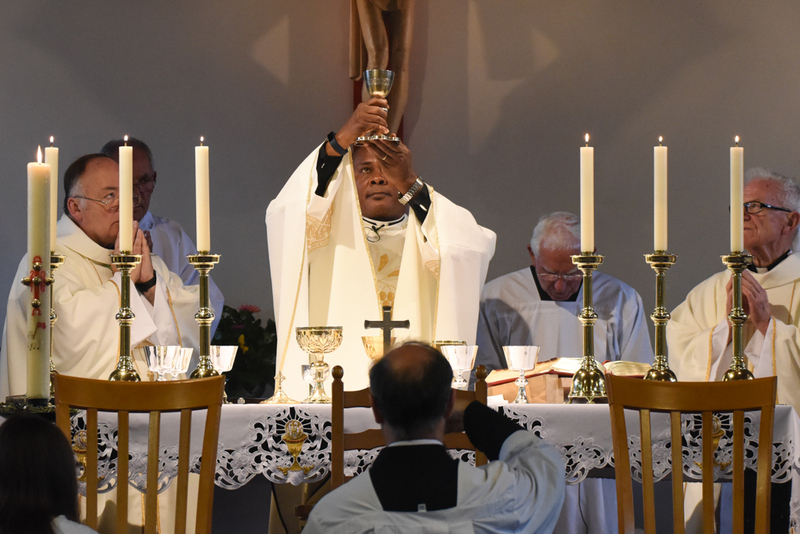 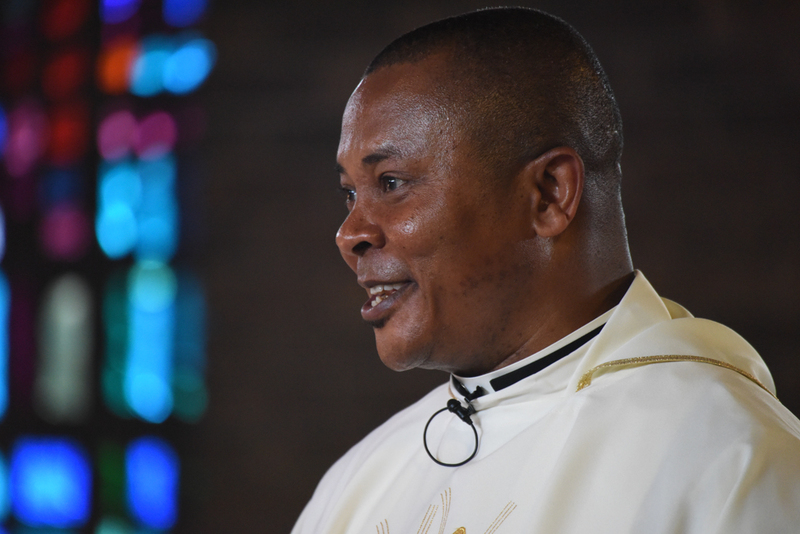 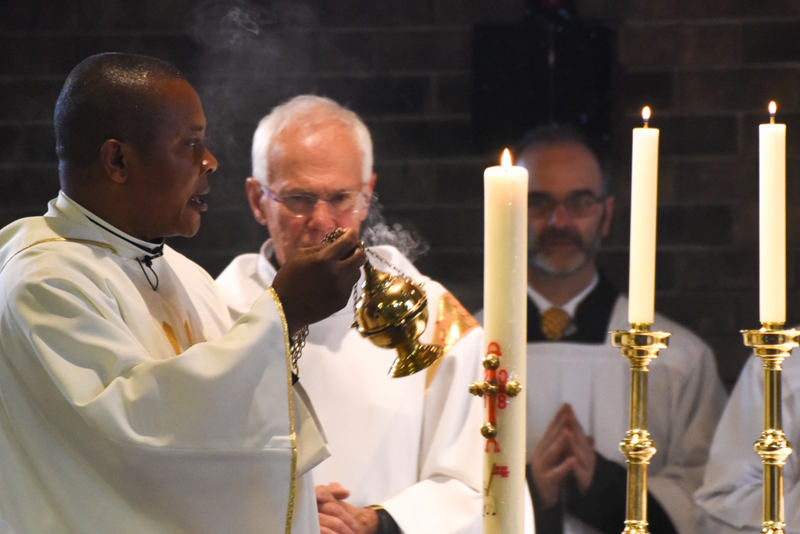 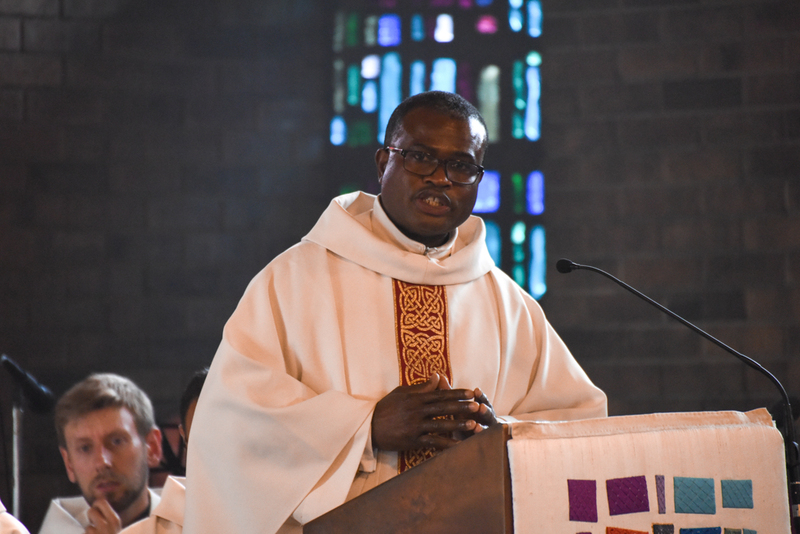 Fr Tobias Okoro celebrated the 25th anniversary of his ordination to the priesthood at St Fergus’, Forfar, on Sunday 29th July. Bishop Stephen Robson led the many warm tributes to Fr Tobias whose ministry spans so many communities. Ordained in his home diocese of Okigwe, in Nigeria. 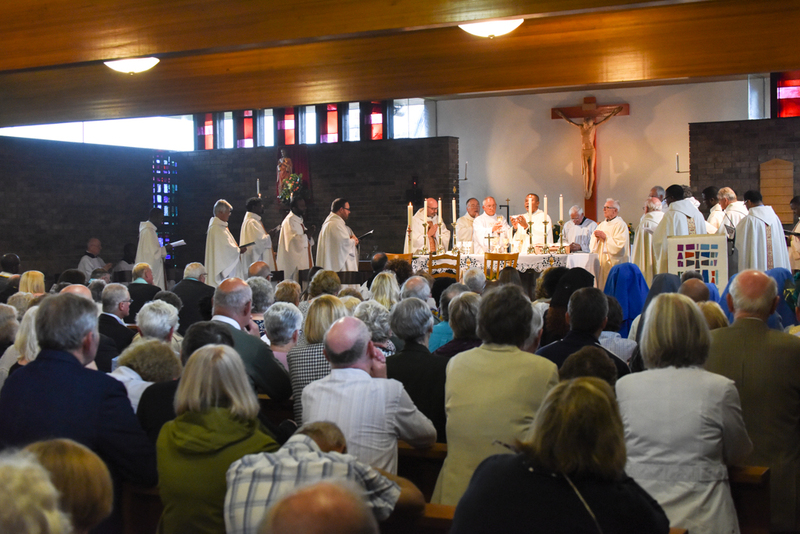 Fr Tobias worked in Germany while he was studying at Leuven in Belgium, before settling in Scotland where he served as parish priest at St Bride’s, Pitlochry, Our Lady of Mercy, Aberfeldy and St Columba’s, Birnam, before taking up his present appointments at St Fergus’, Forfar and St Anthony’s, Kirriemuir. 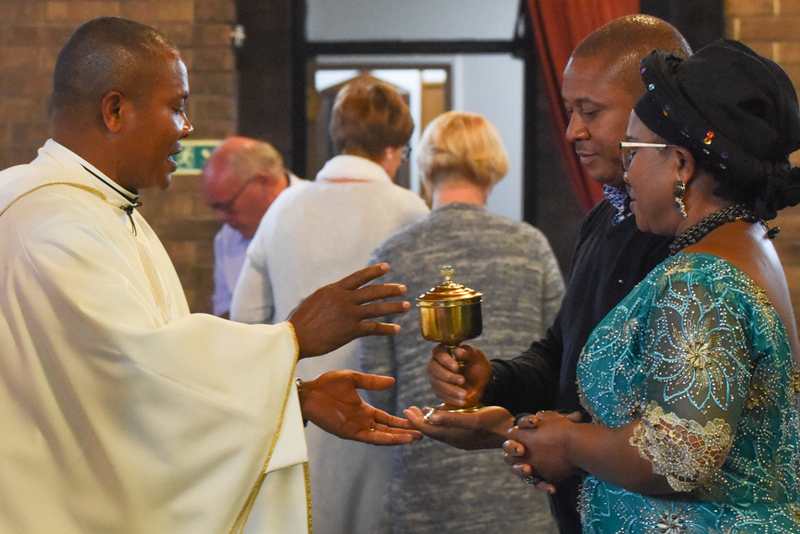 A hallmark of Fr Tobias’ priesthood has been his support for the needy, especially witnessed in the many projects he has engaged in, raising funds, to build classrooms and to dig a borehole serving communities in his native land. 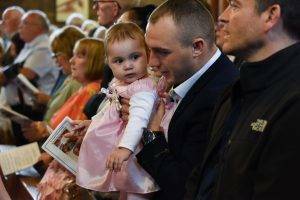 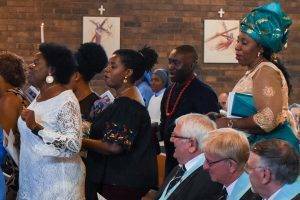 It was a great sadness that Fr Tobias’ parents could not be granted a UK visa in time to attend the celebrations, but his sister, Joan Ndidi Egemonu and his brother Chima Emmanuel Okoro received a warm welcome among the many guests that packed the church. 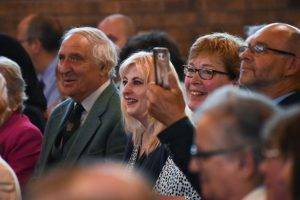 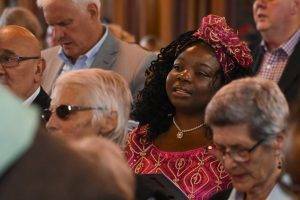 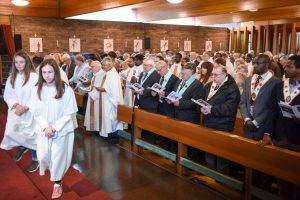 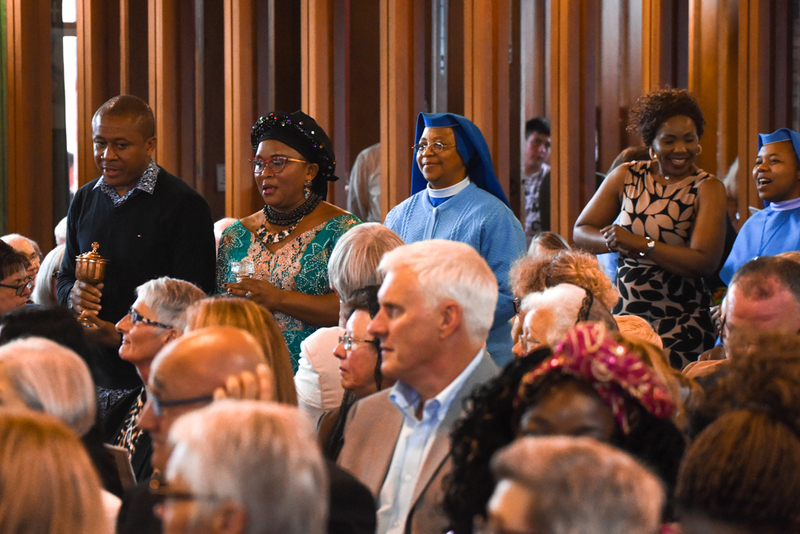 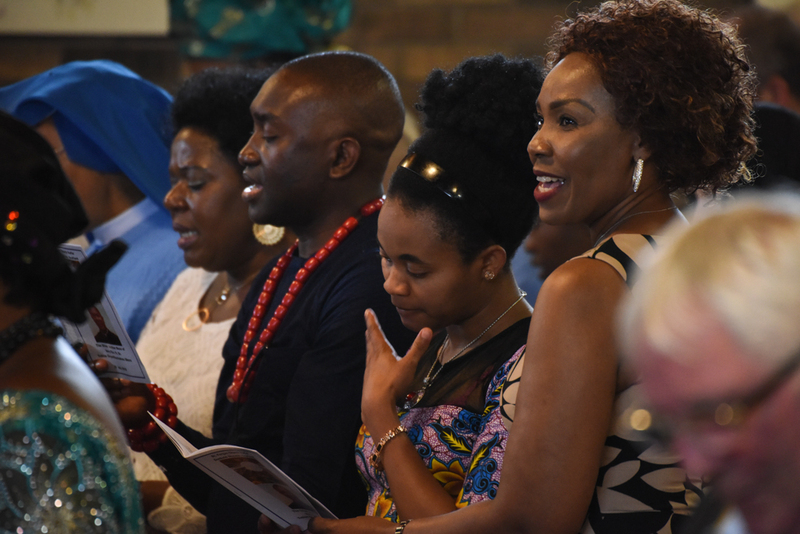 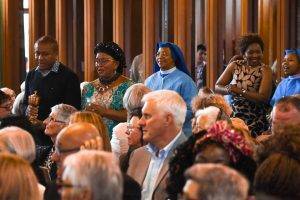 Members of Nzuko Ndi Igbo Dundee and the Sisters of the Immaculate Heart of Mary lit up the celebration with traditional song and dance, including for the Creed and the Offertory – moments that drew spontaneous and prolonged applause from a delighted congregation. 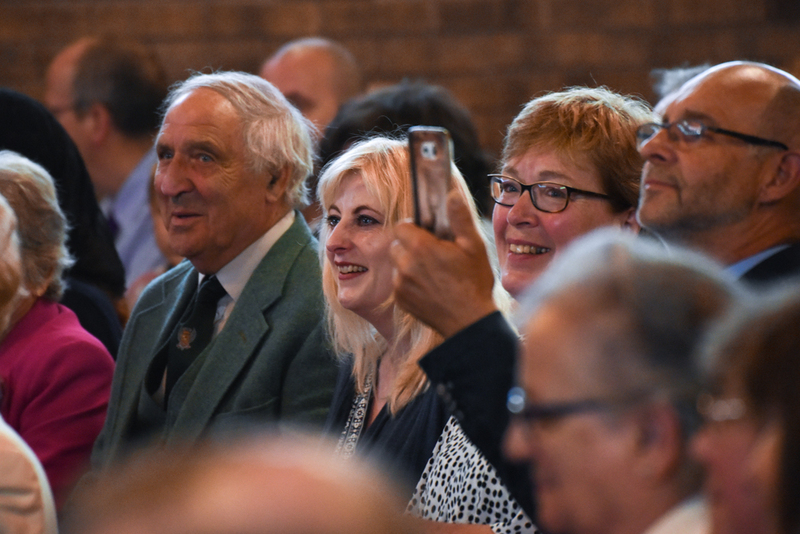 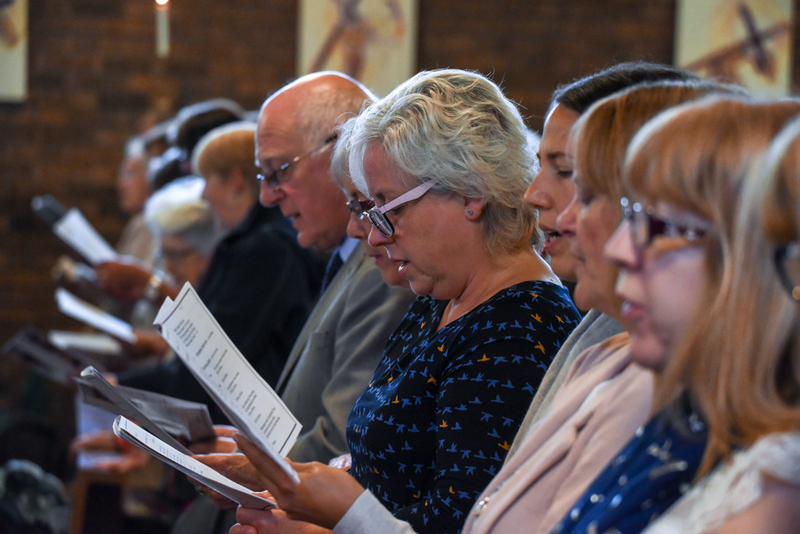 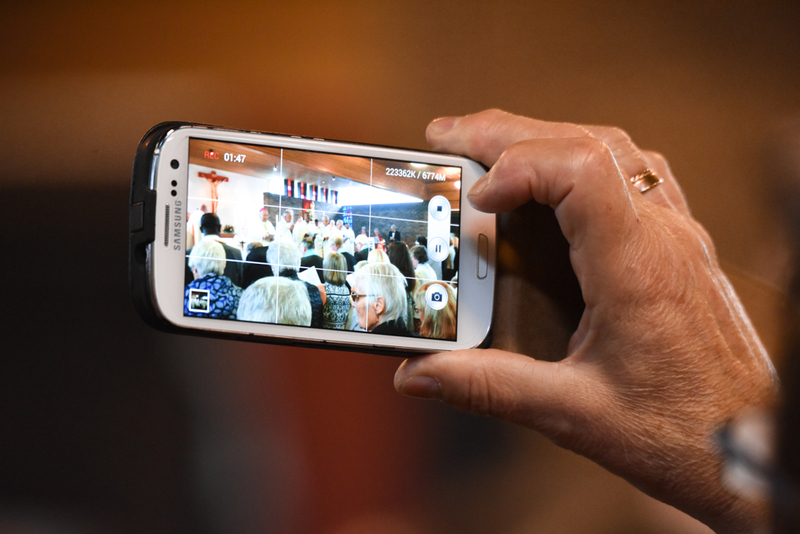 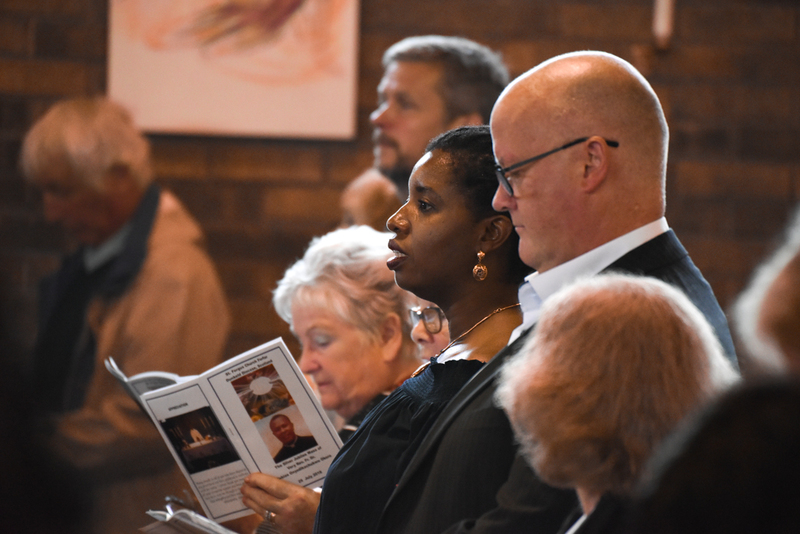 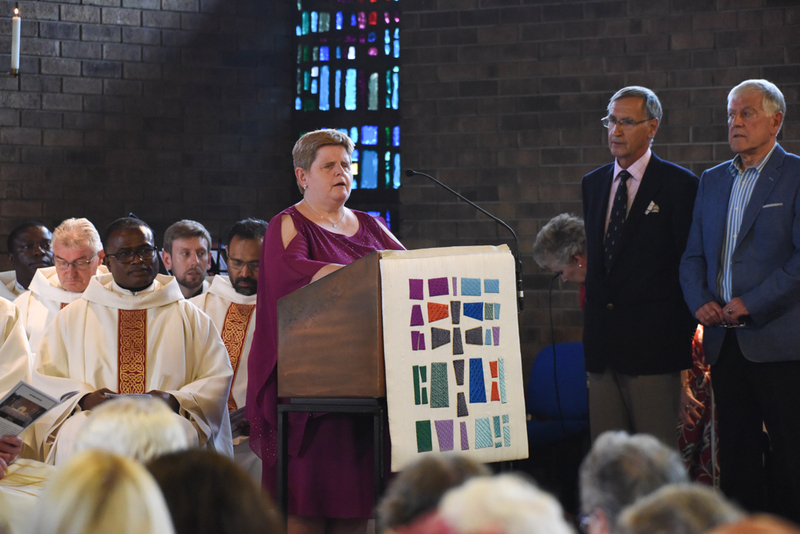 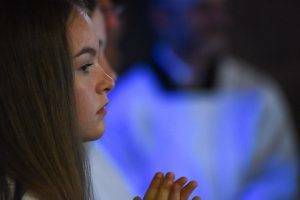 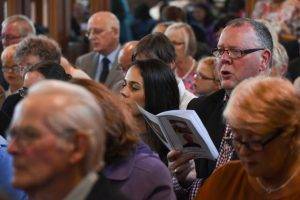 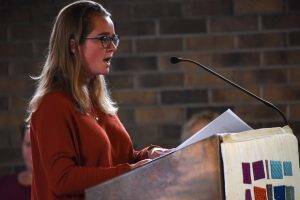 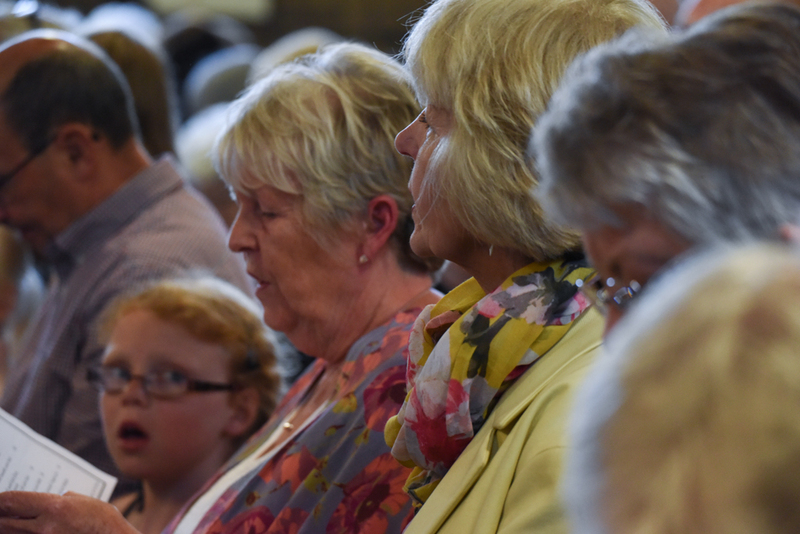 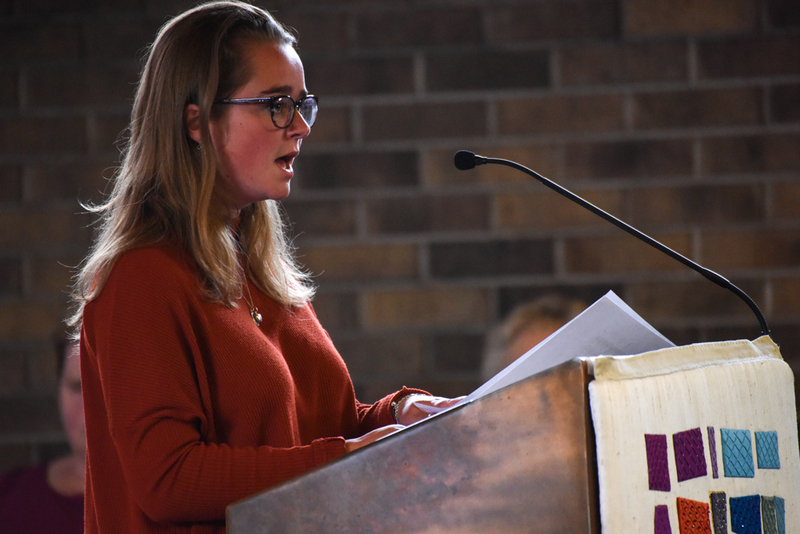 Former parishioners from the German parishes of St Peter’s, Teterow, and the Holy Family, Matgendorf, added their voices to the entertainment which followed the Mass. 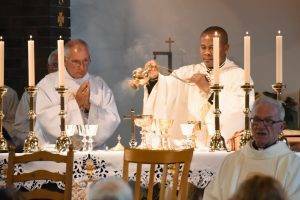 A great banquet, with food from many traditions, had been prepared afterwards in the church hall. For the gastronomists, Forfar Bridies were also available. 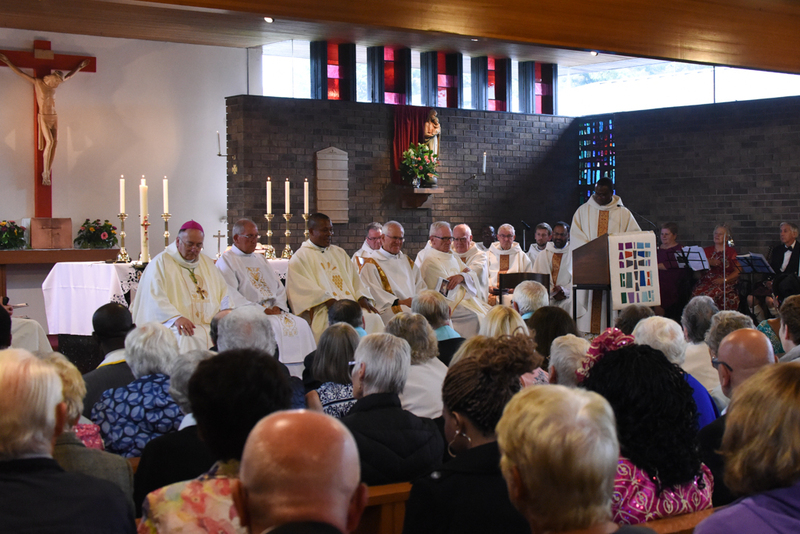 Fr Tobias paid tribute to all who had helped organise the celebration and for the joy of his priestly service. 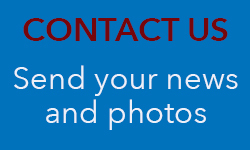 Access the full photo gallery and hi-res photos here.